This is a new translation of the Tao Te Ching in contemporary English by Sam Torode. "This is the gift that ancient humans would give us if they saw us today... Wisdom." --Jimmy of the "Bright Insight" YouTube channel, speaking of this edition of the Tao Te Ching. Wise yet worldly, spiritual yet practical, the Tao Te Ching is beloved by seekers all the world over. 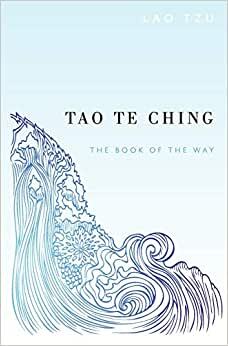 This new edition features a lucid, poetic translation that makes the Tao Te Ching accessible to contemporary readers.The Tao Te Ching is a series of meditations on the mysterious nature of the Tao--the Way, the guiding light, the very source of all existence. According to Lao Tzu (a name meaning "the old master"), the Tao is found where we would least expect it--not in the strong but in the weak; not in speech but in silence; not in doing but in "not-doing. "Also available as a contemplative audiobook. I first read the Tao Te Ching in college. Somewhere along the line I lost that copy so I decided to pick up this one (especially since it had such high reviews). This copy seemed much different than the one I read years back. And I am not just talking about the author's choice to use female pronouns as well as male pronouns in his version (incidentally - how close can one get to awareness of Tao if one allows oneself to get hung up on seeing "He" rather than "She" in the teachings?). In one portion of this "tao de ching: A New English Version" ("Version" is the key word) the author chooses to translate "When the Tao is absent in a country,/ war horses are bred on the borders" to "When a country goes counter to the Tao, Warheads are stockpiled outside the cities". This author has written his "modernized" version of the Tao Te Ching and he claims to have been open in this fact, supposedly by him using the terms "A New English Version". When one reads further one in the notes you see the author admitting he does not even know Chinese (so his interpretation of the Tao is from other translations - and how he thinks the lines should read for poetics sake, or P.C. sake, etc). At first I thought I would not write a review on this book. But when seeing the author admit to what I had suspected it made me feel like I really got ripped off. If you are looking for a translation of the Tao Te Ching do not get this author's book. The author respects the Tao but this is not the real deal. I will be purposefully losing this book and looking for a better translation. 5.0 out of 5 starsAn incredibly profound and enjoyable read. I had no idea what to expect of this book when It arrived. I turned it over in my hands and it was clearly very short in length, so I decided to just read a few pages while I finished my morning coffee. One and a half hours later I had finished the book entirely, along with my coffee, and I immediately knew upon completion that I would read this book many, many more times in my life. It was a highly profound, dare I say life changing read that dramatically impacted my perspective towards my own happiness and how I interact with others. Written as a collection of very short, almost poem-like chapters, often each occupying less than a single page, this book is a masterfully crafted guide to find real happiness and fulfillment in your life. It is a tome that empowers you, humbles you, and leads you around the pitfalls that so many humans fall into throughout their lives. It is not a modern self help book with life-hacks, habit forming tips, or other such articulations, but rather a fundamental, deep, and moving look at what makes up a fulfilling life. If you are someone who has discovered mindfulness, explores meditation, or ponders philosophy, then this book is, without question, a must-read. And if you are more of a go-getter. A driven entrepreneurial type who is looking more or straightforward advice on building your business, achieving goals and finding ‘success’, then I encourage you more-so than anyone else to pick this book up. It has helped me make difficult business decisions, cut through the unimportant details and roadblocks, optimize my time, and improve my relations with my clients and really everyone else in my life for that matter. It is a book for the true winners, who understand that karma is practical, and that compassion is the path to real success. It is a book that I will cherish for the rest of my life, and I feel indebted to the author and translator for bringing its wisdom into the world. As with so many books, we endure the scholarly and erudite reviewers who claim to know which text and translation is the most recondite, the most accurate, the most true to the original. I don't know about all that. I know Lao Tsu was so important to Asian culture and life, and I know this book makes me feel whole again with each reading. I slow down, and his true words align the iron filings in my heart. 381 people found this helpful. This book is very confusing to read because of the way its been printed. There's no uniformity; Instead of having one verse per page and then a commentary section, there's several verses on one page with different types and sizes of font throughout so visually it looks very cluttered and crammed together and it's not enjoyable to read. It looks like a cheap, self-publishing project gone wrong. It's such an important text, it's disappointing that they didn't take more care to make it more readable.